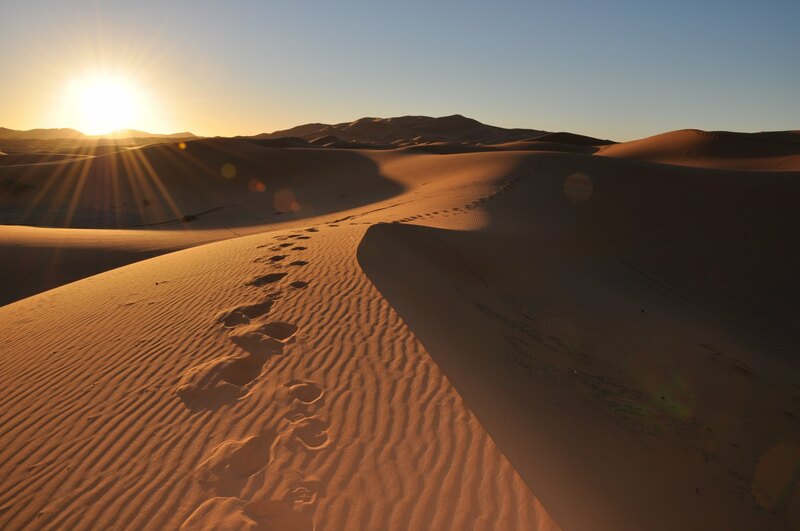 Erg Chebbi (Arabic: عرق الشبي‎) is one of Morocco's two Saharan ergs – large seas of dunes formed by wind-blown sand. The other is Erg Chigaga near M'hamid. 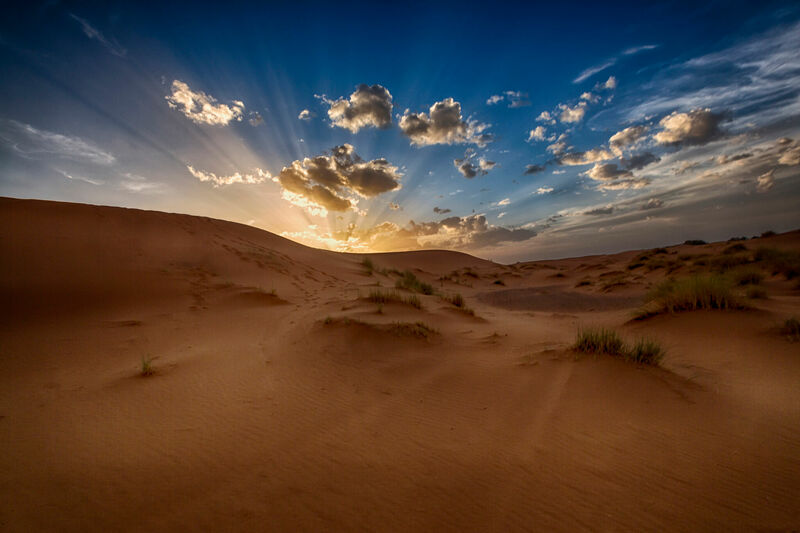 Merzouga is a small village in southeastern Morocco, about 35 kilometres southeast of Rissani, about 55 kilometers from Erfoud, and about 50 kilometers from the Algerian border. In 2006 Merzouga experienced devastating flash floods, displacing 1,200 and resulting in some deaths.